But what is it exactly that is leading to this thought process? Why is PSU bank losing its charm gradually? We have jotted down a few points here. Have a look. 1. Pay scale difference: This has to be the first and foremost reason no doubt. Compared to the risk profile of the job and the urgency of the work of the customers and the private banks’ offering to their employees, the wage of that of a PSU bank employee is meager. When compared to the wages of officers in a central or state government the wage of an officer in a public sector bank is piteous. With rising cut throat competition and equally challenging job environs, a bump up in the salary will prove to be a magnetic boon in disguise. 2. Rising NPAs: A sign of negative growth. 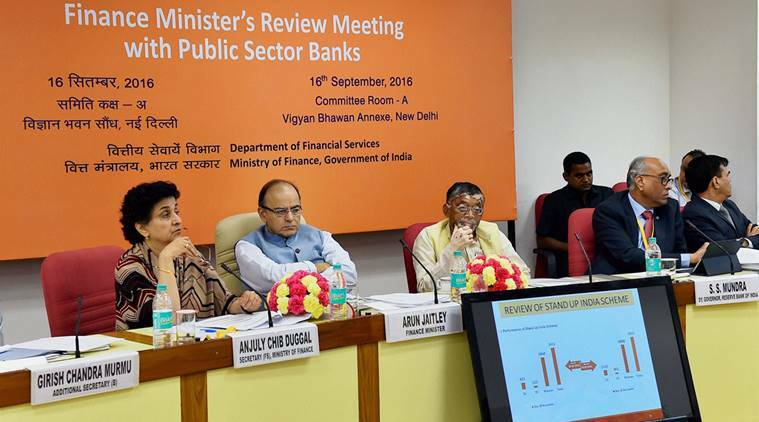 With the rising NPAs public sector bank boasts anything but positivity. 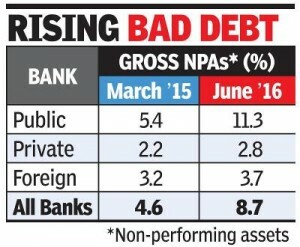 With umpteen forced government products, increased fraudulent activities and clean and easy loans, the non performing assets are on the rise even after rigorously implementing policies meant to curtail NPA. The RBI’s new directive to nail those who willfully default might just be the catalyst needed for the public sector banks. 3. 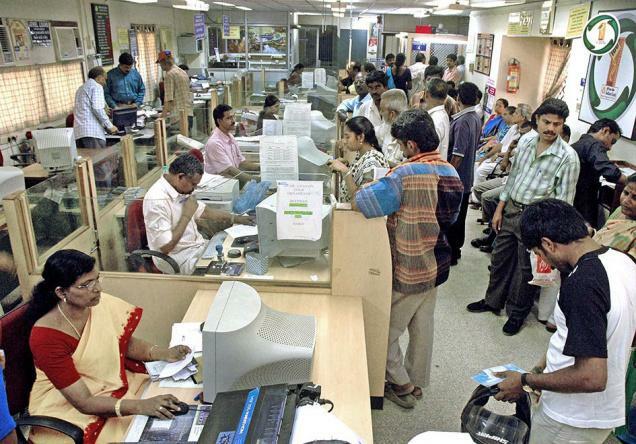 Demotivated staff: As said above, salary is just one of the reasons for PSU banks not flourishing. A team of demotivated staff leading the bank will ultimately prove detrimental to the growth of the banking sector. The staff might be demotivated for ample reasons. The simplest being perhaps the work-life imbalance. Demotivation can arise from ‘all work and no play’ stance or lesser number of holidays sanctioned to staff or minimal perks or zilch or delayed appreciations, late sitting, calling on duty on holidays, or unsupportive higher management. 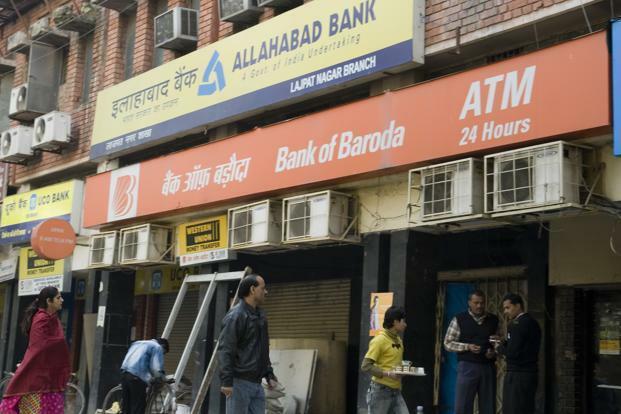 While ICICI and other such private banks are offering work from home facility to lady staff, PSU banks still have a lot to think in this field to retain the gems. 4. Sticking to Redundant Policies: One of the curses sticking with this Harry Potter of an industry is its redundant policies. It would be truly magical if some ‘done to death’ policies are buried in the graveyard and an epitaph written over their tomb. One such policy being bank’s transfer policies. A lot many competent staffs prefer not to take promotion and stick to their routine just for the reason they are afraid of transfers. Transfer post promotion becomes like a punishment rather than a reward to the one who chose banking over their family, as he has to forsake his family and go to a region, a zone which is totally alien to him. Who knows, doing away with a little this and a little that might bring back the lost charm. 5. Less support from the present Government: After demonetization which was heck of a work for the bank employees the little that the government could have done was take care of those who helped Mr. Prime Minister successfully achieve his one of the most ambitious and riskiest decisions. But unfortunately what the government did was announce policy of reducing staff benefits if they want the necessary funding. This instead of alleviating the pain just augmented it more resulting in even more unsatisfied work force. However it is also not very grim and dark. Banking industry is undergoing a transition phase; a phase of change in the system. Change which is usually dreaded, which is also equally unwelcomed due to the stubbornness of or rather the “laid back” attitude of those who have to revolutionize and change along with it. Till the process is over and with a few inner modifications especially where the relationship with the customer or within the staff itself is concerned, is not paid heed to, the attrition of the youth from this sector is unavoidable and incessant. If you have anything to say, we would love to hear your views on this article. Please comment below and your views will be shared with all. Dhruva Awasthi is a young and dynamic writer with fresh thoughts and a firm believer that writing is the best form of expression. He crossed the threshold from his mundane arduous work life into the world of writing because of his pure love for penning down the thoughts which entwines his mind. He is an Engineer by profession and a writer by choice. He has a flair for writing on a wide array of genres spreading his wings from politics, food, health, spiritual to poetry, drama and fiction. Dhruva is methodical and punctilious and hopes to bring realism to the table, through his writings and through Thatslyf. While Indian banking sector and more so public sector banks are much in the limelight for all the wrong reasons these days, from rising NPAs to lower customer friendly behavior of the staff, much of the reason for the same can be rooted down to a half hearted and dissatisfied employee working in abysmal conditions. While fulfilling their targets with half hearted will and undue pressure the results are not strange enough if seen in this light. While rising cut throat competition leads to pressure in achieving the targets and hardly anything can be done about it, there is a lot that can be done about the dissatisfied employee. While these things cannot be generalized and may not be true for all, it is most widely seen and unspoken truth. That the Hr department is for the staff and their benefits is now true only in the virtual world where as in this parallel universe it is being mostly violated and used by the management as a threat tool as anybody going against their decision is being transferred at their whims and fancies to the remotest possible position. Nationalised Bankers are doing everything else than banking. Insurance, govt schemes, social financing. The fun came when Mr. Prime Minister got his Agri crop insurance done by Nationalised banks than insurance company or govt agricultural department. 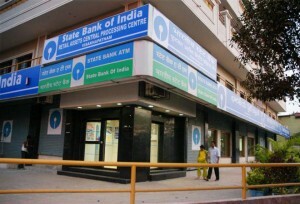 Govt expect private level profit from govt activity by Nationalised banks. The article by Dhruva is thought provoking. It exactly mirrors the Sorry state of affairs of the PSBs. He has caught the issue right. Many thanks for him. One more thing about NPAs. The political nexus is the most inhibiting factor for recovery of NPAs. 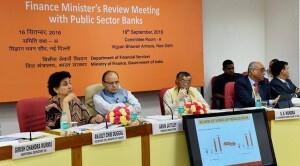 Don’t say public sector banking is losing its charm ! It has already lost its charm ! Any change that is going to occur, is certainly not going to be in favour of employees ! It’s not the pay structure or anything material but, lack of job-satisfaction – on account our being continually exposed to the so-called poorer sections of society who have become so much vocal when it comes to their rights but never bother about their duties. There is scant regard for even educated and honest employees. All this is, on account of the heads of governments polluting the minds of the common man who is told that the bank employees are ‘well-paid pigs’! There is no deliverance to the PSB employees ! “Woh subaha kabhee nah aayegee “! Although our friend has mentioned most of the point, apart from that there are some thing which now a days growing in corporate sector is favouritism, the higher authority shows there anger on employees on the basis of their choices, here they dont even think of performance of the particular employee, if any body have good rapo with higher authority he/she get choice posting n the rest will suffer, this create a negativity in the mind of employee, which reflects in low enthusiasm towards the work n ultimately overall performance of bank suffers. Well said. It is the sad truth that you have pointed out. We did miss on this one..
Job satisfaction is an important part of all,working in any organization, pvt,govt,semi- govt, public. If we see we have moved from bad to worst. No one around us is happy ,as for working atmosphere ,is concerned. Job of Prime minister, chief ministers, beurocrates,IAS,Police, Doctors and so on,no one seems comfortable and happy ,because of our unsaturated greed for money,unlimited dream for sucess. Little bit of everything is OK in life but too much of anything will make our lives hell. The easiest thing we can do to change our own programming to make our own life happy. Big car,flat,bank balance, moving in the mall in casual dress will never make anyone happy. Take a breath and think ,why we are running after money and power. Also, the poor technological support which makes us pull our hair off!